The merger would affect over 11 million customers. 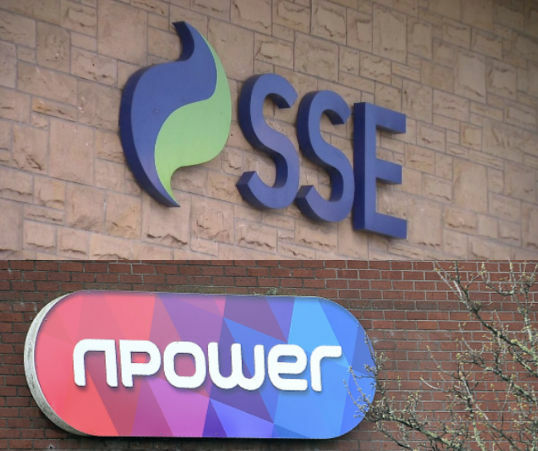 Britain’s competition watchdog has warned that a possible merger between two energy giants, Npower and SSE, could lead to higher prices for households. The Competition and Markets Authority, said that the deal could reduce competition, and that the two companies need to address its concerns. Rachel Merelie, senior director at the CMA, said, “We know that competition in the energy market does not work as well as it might. “However, competition between energy companies gives them a reason to keep prices down. SSE responded saying that it will take its time to asses the CMA’s statement. Alistair Phillips-Davies, chief executive of SSE, said, “We remain confident that the proposed merger will deliver benefits for customers and for the energy market as a whole, and that we will be able to demonstrate this to the CMA in due course. The CMA had already raised worries over the impact of the deal on the energy market, which is already under pressure amid concerns over unfair tariffs, with a government-enforced price cap set to be introduced on standard variable tariffs later this year. SSE is Britain’s second biggest energy supplier, and the merged group will serve around 11.5 million customers. Are you with SSE or Npower? What do you think of the merger? Let us know in the comments. Im with sse and would have a major problem with them if they merged, N power would have to have changed an awful lot (prices and attitudes) If I was to stay!